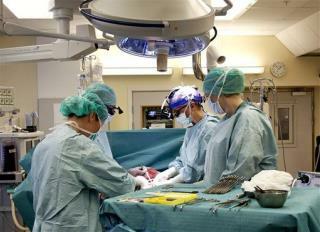 (Newser) – After nine womb transplants in Sweden, the world's first baby from the procedure may be on its way: Doctors successfully placed an embryo into the transplanted womb of one of the patients last week. Now, "the best scenario is a baby in nine months," says team leader Dr. Mats Brannstrom. "A success would be an important proof of principle that a procedure is now available to cure uterine infertility." The embryo came from the patient's own egg; now the question is whether it will embed in the uterine wall, the Daily Mail notes. Conspiracy theory: This is the reason Texas tried to keep Mrs. Muñoz's corpse nurturing a fetus. To see if a cadavers' reproductive organs can be used to incubate an out-of-womb created baby. Sweden conceived it and Texas is running the trial tests. I don't like that. Orwells book 1984 talked about New Think. I guess New Think means new ways to conceive and MOMS for rent. Minimum period 9 months!